This Hard Anodized Cookware is Metal Spoon Friendly and Long Lasting. There would be no peeling of the coating whatsoever. It is highly abrasion resistant. The making material of the surface is harder than that of stainless steel. Yet this Black Diamond Hard Anodized Handi M– 4 LTR is easy to clean. The food would not stick to the surface. 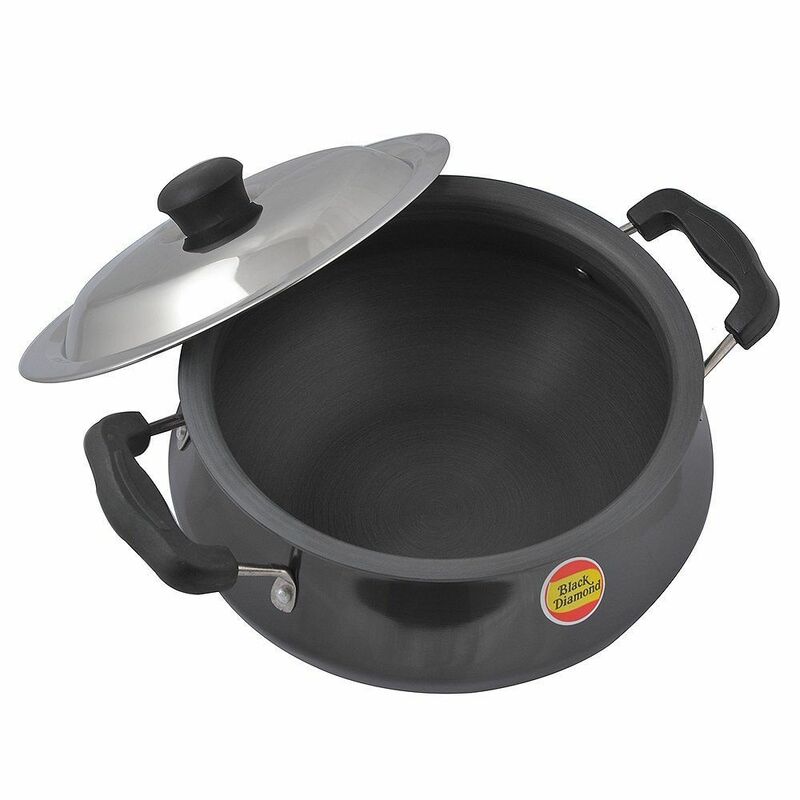 Black Diamond Cookware with Tufkote Finish is a latest concept in kitchenware. Its surface is very durable & highly abrasion resistant. Stays looking new for years & is about two & half a times harder than stainless steel.